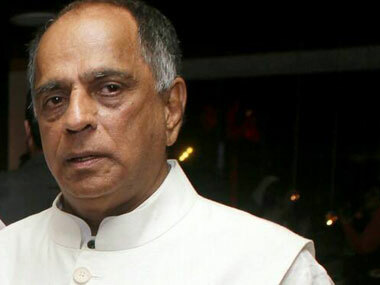 The Central Board of Film Certification (CBFC) is witnessing fresh rumblings with board members protesting against chairman Pahlaj Nihalani's dictatorial ways and accusing him of of being a tyrant for not just reviewing films himself but also ordering cuss words to be removed despite a board resolution putting the order to ban 28 cuss words on hold. 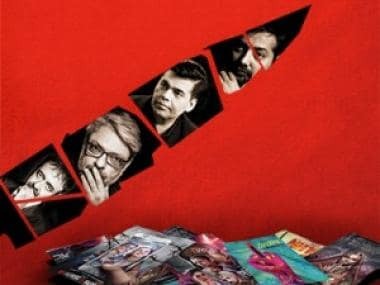 CBFC members Ashoke Pandit, Mihir Bhuta and Nandini Sardesai have reportedly accused Nihalini of making the censor board "redundant" by deliberately turning a "deaf ear" to board recommendations or suggestions. On Thursday, board member Chandraprakash Dwivedi expressed disappointment over cuts made in Anushka Sharma's film "NH10" despite a collective decision to put on hold a circular banning cuss words. Expressing anguish that collective decisions were being ignored, Dwivedi, a prominent filmmaker, sought an urgent meeting of the board in his letter to CBFC chairman Pahlaj Nihlani to address "uncomfortable issues". Dwivedi said that he was in receipt of the list of "cuss words" asked to be deleted by board to the producers of NH 10. The list was forwarded to him by a friend through SMS, Dwivedi said in the letter. "I am not pained for the deletion of the cuss words or decision of the CBFC but the violation of the trust of the board," he wrote. Recalling an earlier meeting of the board, Dwivedi said, it was resolved that the circular issued by chairman or the office of the CBFC, banning certain words, will not be implemented till there is a detailed discussion. "However the said circular in discussion was implemented and cuts were given regarding cuss words. I am also informed that your goodself was the presiding officer for the revision committee," Dwivedi wrote in his letter to Nihlani. 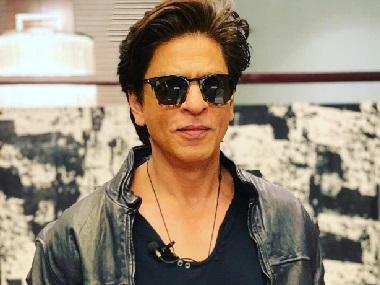 He wrote that while "not going into the merit of classification, certification or questioning the decision of the board here," he felt that the way the cuts were sought in the movie were "against the collective decision of the board of CBFC." Dwivedi added that he had attended three revision meetings and every time returned home with a "saddened heart" as every time he came to know that the collective mandate (or wisdom) of the board was not communicated to advisory panel. "I have started feeling uncomfortable of being a part of an esteemed institution where, collective decision of the board is ignored or collective voice is unheard," he said in his letter while seeking an urgent meeting of the board to address uncomfortable issues. Meanwhile, CBFC member Ashoke Pandit in a Facebook post slammed Nihalani, saying Anushka Sharma's NH10 was a victim of his "crass functioning". The film's release was postponed by a week due to the Board's objection to certain scenes in it. It will now hit the screens on Friday. "Nihalani's diktats are supported neither by logic nor law, nor does he appreciate the intelligence of the film-maker & the audience. He literally functions like an archaic monarch treating CBFC and its office like his own fiefdom," Pandit wrote in a letter posted on Facebook. "From the day this man (Nihalini) has taken the reins of the board, the CBFC is resembling like a wild horse gone amok. His ridiculous diktats and autocratic functioning has made CBFC a laughing stock not only amongst the film makers but also the cinema viewing audience. Nihalani's diktats are supported neither by logic nor law, nor does he appreciate the intelligence of the film-maker and the audience. He literally functions like an archaic monarch treating CBFC and its office like his own fiefdom."